From Neptune to, er, Neptune? | Spaceship! Spaceship! Spaceship! 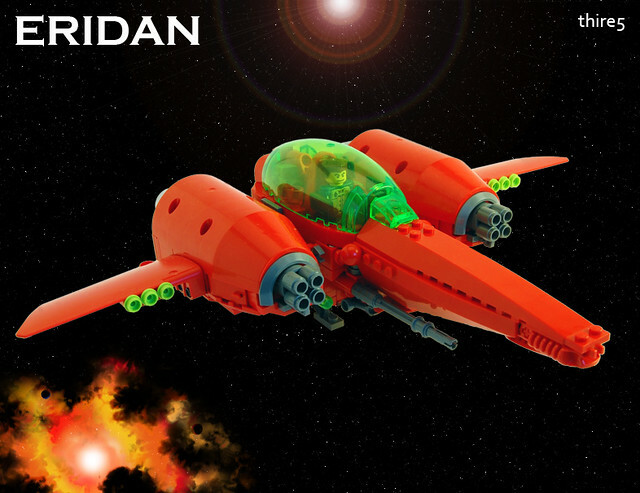 I’m going to go out on a limb here and guess that Martin Latta bought set 8075 Neptune Carrier, took it all to bits and decided to make a red spaceship! 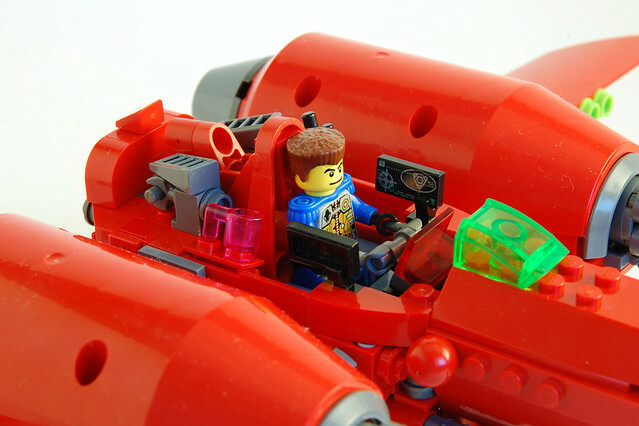 He’s used the big round fairings (actually I think parts for a cement mixer, originally) as engine pods, put the technic panels as wings and stuck a cool looking space dude in a really nicely detailed cockpit, under the set’s big green bubble window. I especially like pink coffee cup. You’ll need pink coffee in outer space.